Thanks to headband advocates Blair Waldorf and Cher Horowitz, our teenage weekends were often spent cruising the mall, stocking up on the hair accessory at Claire’s. And, frankly, we couldn’t get enough (hey, if Blair needed a band for every day of the week, so did we). From super wide to blinged out, nothing made us feel more polished than pulling our hair back into a headband. Just like us, headbands have grown up a bit. Sure, they still have bows and pearls but the latest versions have more of an edge, thanks in part to their recent runway renaissance. It started with the Fall 2017 collections as brands not only reintroduced us to our childhood obsession but showed us new ways to wear headbands. Chanel alternated between pearly knitted and patent leather headbands worn over the ears, instead of tucked behind them. Elie Saab’s were gilded, crowning the elaborate chignons. 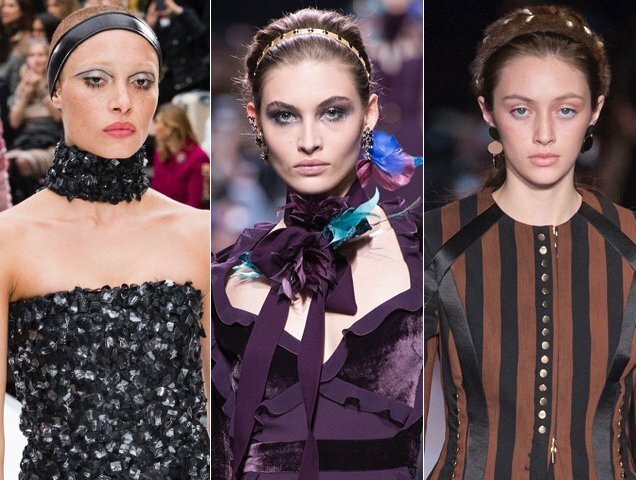 At Altuzarra, mink headbands embellished with white faux-pearl drops and gold-tone metal rings topped off several looks. And celebs are also on board. Martha Hunt slid hers way back to watch herself walk the runway at this year’s viewing party for the Victoria’s Secret Fashion Show. 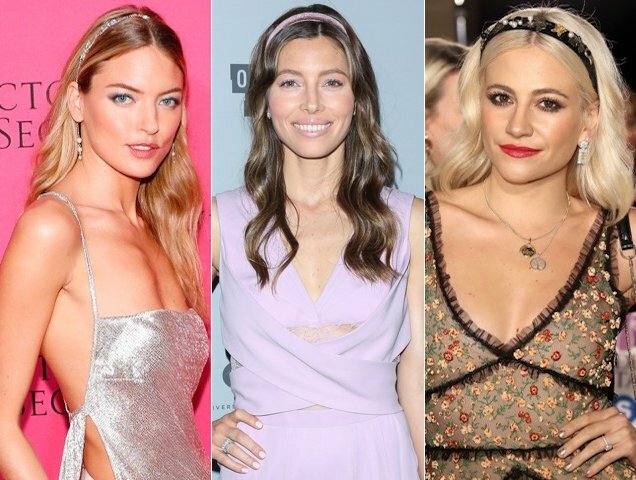 Jessica Biel went matchy-matchy by coordinating her purple velvet band with her pastel jumpsuit, while Pixie Lott worked an embellished black headband into her award show outfit. 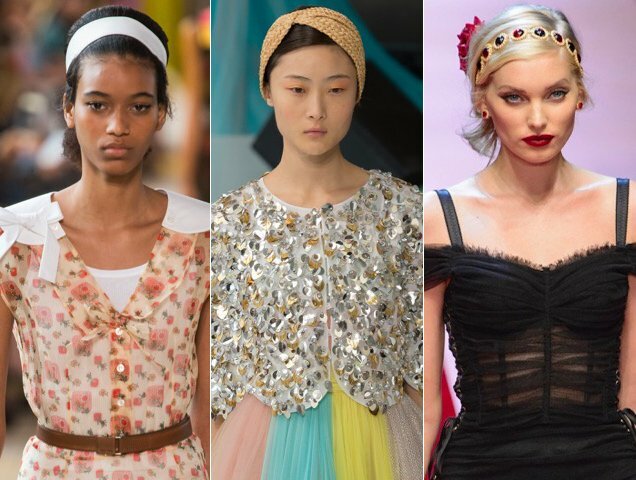 Now that you’ve seen all the evidence, it’s time to embrace the return of headbands by shopping our roundup below. Whether you’re into more turban-like bands a la Gucci or you fancy yourself some serious embellishment, you’re sure to find a headband that fits your style and your strands.